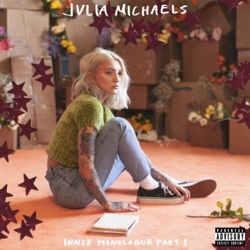 Inner Monologue Part 1 is the debut studio album by Julia Michaels, released by Republic Records from UMG Recordings on January 25, 2019. Julia's knack for making the personal pop-friendly is spotlighted well. She’s the rare pop star with a talent for exposing her imperfections without passing judgment. As the name suggests, we get a real insight into the rather tumultuous private life of Michaels. She reflects on some dark and vulnerable moments in her life but showcases a positive light and a sense of growth and self-worth through her empowering storytelling. Inner Monologue (Part 1) feels like Julia’s most confident display of herself, which is what every artist wishes to achieve. Love it Seriously amazing two amazing singers!